Sing a song of sight words! 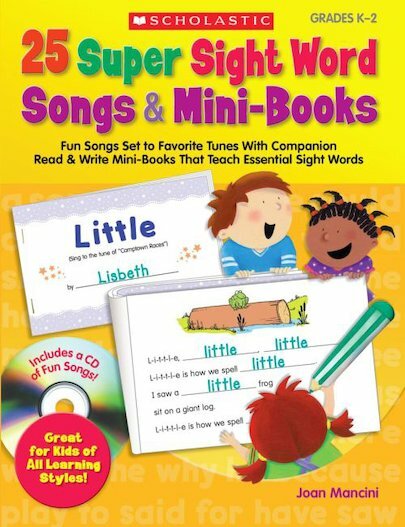 With this super collection of songs on CD, plus companion mini-books, kids can practise reading and writing 35 key sight words. Each song – sung to a familiar tune – features one or more sight words, and comes with a fill-in-the-blank mini-book that provides multiple opportunities to write each targeted word. After completing the mini-book, children can read along as they sing the song again and again. A great way to build sight word recognition, boost reading fluency, and reinforce spelling.